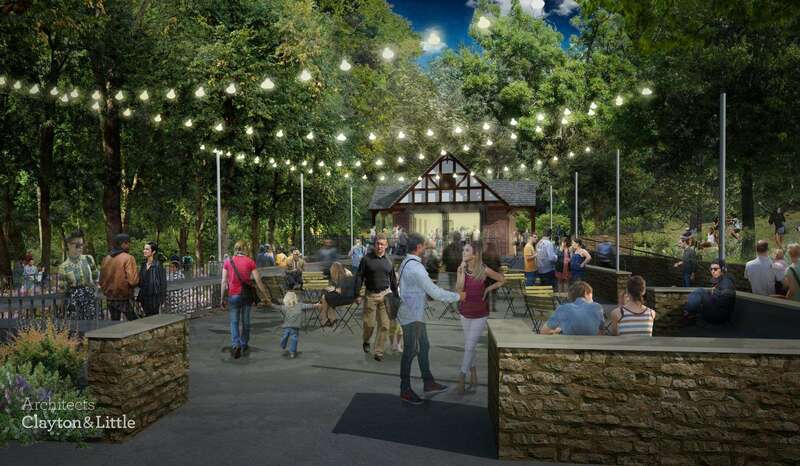 Just a year after receiving a transformational donation of $9.7 million from the Moody Foundation, the Pease Park Conservancy has released renderings for the radical upgrade planned for the park’s southern end, known as Kingsbury Commons. Ten Eyck Landscape Architects is leading the project that will bring new features to 13-acres of the most-used area of Pease Park while preserving and restoring the natural landscape. An 84-acre greenbelt along Shoal Creek west of downtown Austin, Pease is one of Austin’s oldest parks. Its trails, disc golf course and beach volleyball courts have long made it a popular recreational destination. Shoal Creek marks the edge of the Balcones Escarpment. Ten Eyck said plans call for a natural spring that currently flows onto the adjacent road to be redirected through Kingsbury Commons. “Water will be a connecting element to the (features of Kingsbury Commons,” Ten Eyck said. So will a new path with an interpretive stone ‘ribbon’ that will serve as place to highlight the ecology and the long history of Pease Park. 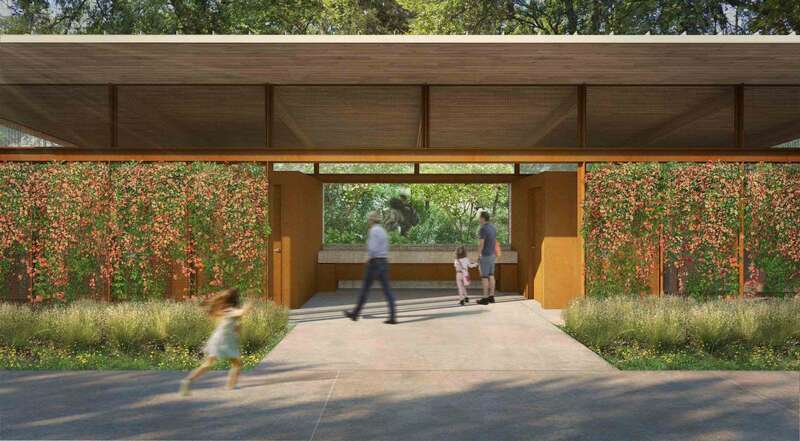 A new pavilion will house modern restrooms and volunteer space and will be surrounded by additional picnicking area while the park’s historic 1920’s Tudor Cottage into a community gathering and event space. The play areas will have a nature-based playscapes, like stumps and wooden beams for climbing and a treehouse-inspired play pod. A new state-of-the-art waterplay feature and splash pad will incorporate natural limestone elements. The much-used sand volleyball courts will be rebuilt and a new covered basketball court will be added as well areas for petanque and bocce ball. Natural landscaping will include meadows, wildflowers, a woodland understory and a substantial native flowering tree grove along Lamar Boulevard. The power lines that crisscross the park’s formal entrance will be re-routed underground.